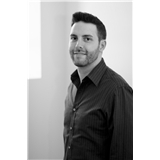 Brian Iacoviello, PhD (New York) - Book Appointment Online! Dr. Iacoviello is fantastic. Kind, insightful, and easy to talk to, he helped me feel comfortable and open up despite my inital anxiety (disclosure: it's my first time with a therapist). I feel so much better after talking to him and can't wait for our appointment next week! !